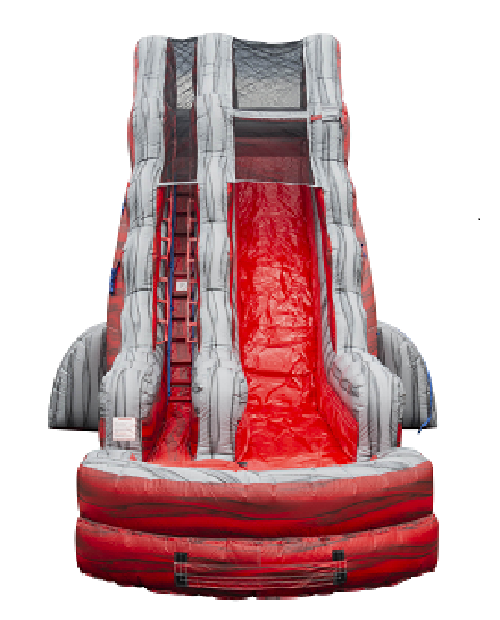 Cool off the kids this summer with this 22ft. Red Rock Falls Water Slide. 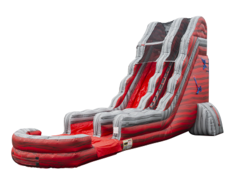 Give them something to really enjoy while entertaining their friends on this big Red Water Slide. 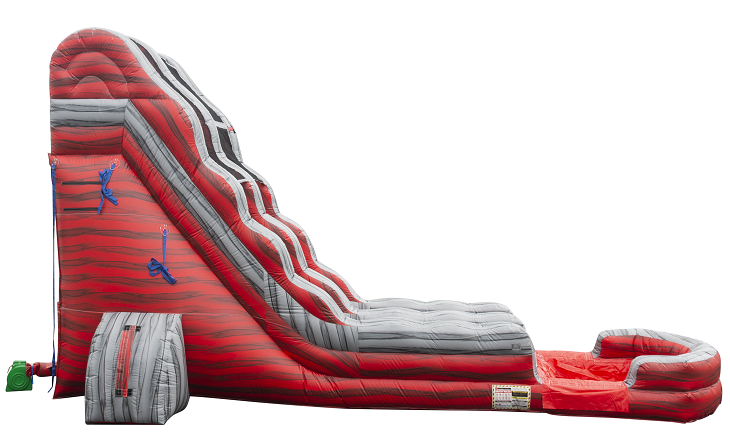 Kids, you will be amazed at the size of this slide while you approach the stairs to the left of the slide. Hop on and climb up the steps to the top platform, in anticipation of the ride of your life! You will slide down a long Red Slide over a few bumps and land into a cool refreshing pool! Who knew you could have so much fun in your own backyard. The 22ft. Red Rock Falls Water Slide includes: Water Slide with a Pool Landing.